Let's take a moment to talk about 2017. It was a pretty exciting year for us; we celebrated our 5th anniversary, collaborated with one of our favourite ethical fashion brands, Thought Clothing, and worked with Instagram for a second time at their Christmas #InstaGiftMarket at Spitalfields. We launched a solitaire range made from the ethical alternative to diamonds, cubic zirconia. 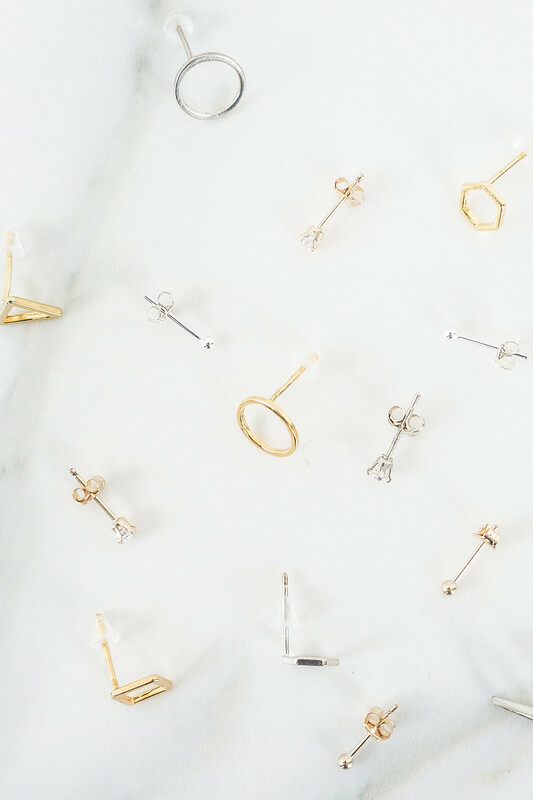 We also launched stacking rings, geometric studs with the option to mix and match, a parallel bar ring design, and a multi-clasp to help layer necklaces without tangles. Right at the end of 2017, we launched homewares featuring a range of handcrafted macramé plant hangers. 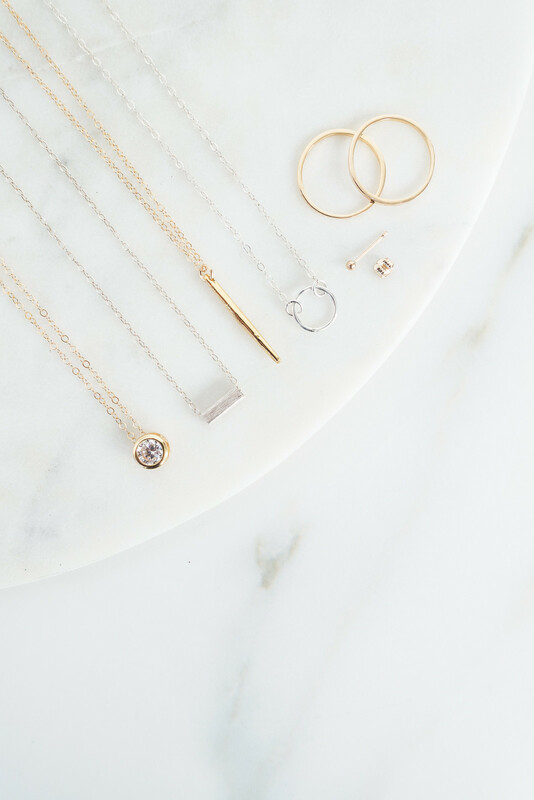 We opened up on our journal to share a lot more behind the scenes insider-details including our zero-markup policy, our minimalist unboxing experience, told you all you need to know about sterling silver, gold, and diamond jewellery; and got a lot more transparent by sharing our supplier details. Expect more of that in 2018! This year we want to return our focus to design and storytelling; designing classic new pieces, broadening the range within each collection, and refreshing some of the designs that have been with us the longest. We'd like to collaborate with other designer-makers and work on larger, more exciting projects. It's all a little hush-hush right now but we'll tell you more when we can! A huge focus for us this year is customer pain points with the intention of improving both the products and the service we provide. Making the experience of shopping with us a delight is so, so important to us; we want the experience to be exciting from not only browsing to checkout but from delivery to the years of wear you get out of your jewellery. We want you to have the best experience possible. We've already started work on some of the more obvious pain points but we'd love for you to have an influence over the improvements we make by sharing your comments, questions, and suggestions on how you think we can improve and what products you'd like to see more of. Send your responses to Sophie: info@ohmyclumsyheart.com. 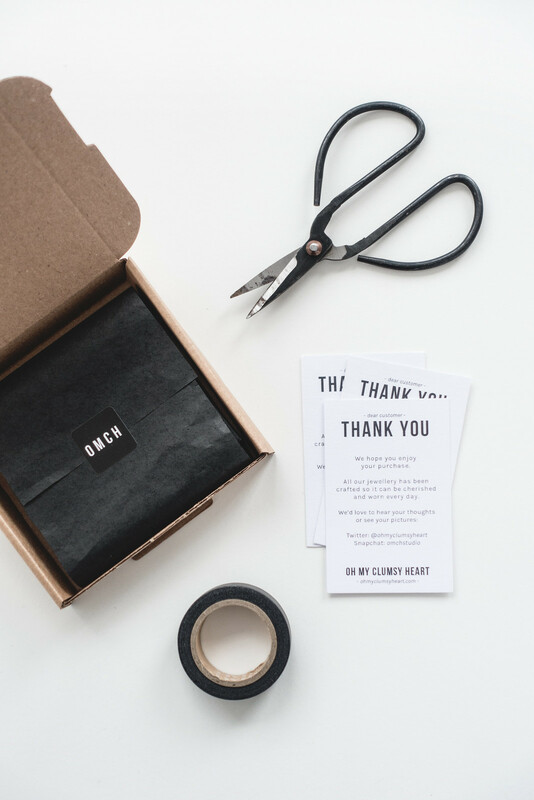 We know just how important the unboxing experience is so right before Christmas we made the decision to refresh our gift wrapping service. We retired our metallic range of gift wrap and replaced it with luxury matt black wrapping paper and complementary white satin ribbon. Turns out it was a huge hit - our gift wrapping has never been so popular! 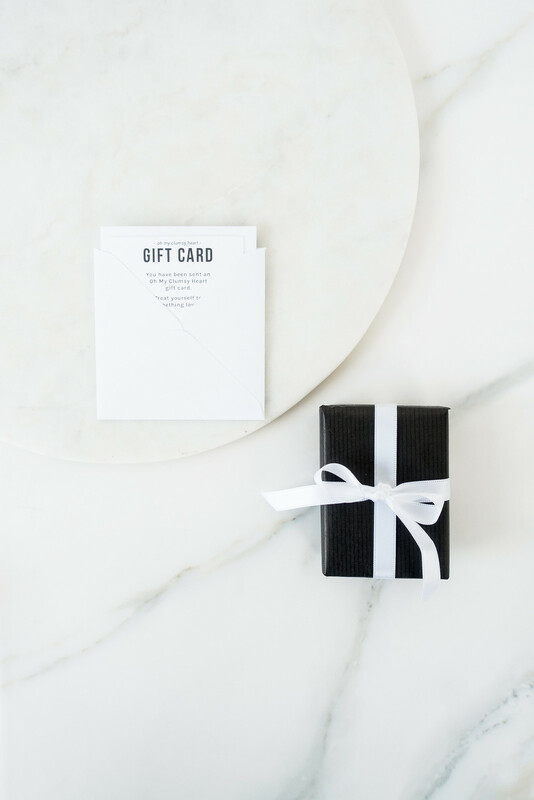 We always find the smallest details have the biggest impact and the decision to refresh our gift wrap was no exception. Having the honour of wrapping your gifts is one of favourite parts of the job so we’re thrilled you love our luxury gift wrapping as much as we do. When we launched our first ever stacking rings last year, we hit a hurdle. It became obvious to us that customers were unsure about sizing. Finding the perfect fit was tricky and we know some of you ended up with rings that were slightly too big or too small. Emails were answered, exchanges were made, everything was fine in the end. But we can do better than that. Before we expand on our range of minimal rings, we want you to be absolute certain that the purchase you're making can be worn and will fit in exactly the way you want it to. So we’ve designed a printable ring sizer that works; download it now to find your perfect fit. While we would love to offer free shipping, nothing comes for free; as a small business we’re unable to swallow those costs. The only way to make free shipping viable would be to add a little extra cost onto the price of each product, something we definitely did not want to do. Instead, we’ve overhauled the structure of our shipping and found a better solution. Perhaps you’re not in a rush for your order or you’d simply prefer a cheaper option; you’re now able to select Economy Shipping at checkout, which has a slightly slower delivery timeframe at a cheaper price but with all the benefits of our Standard Shipping. 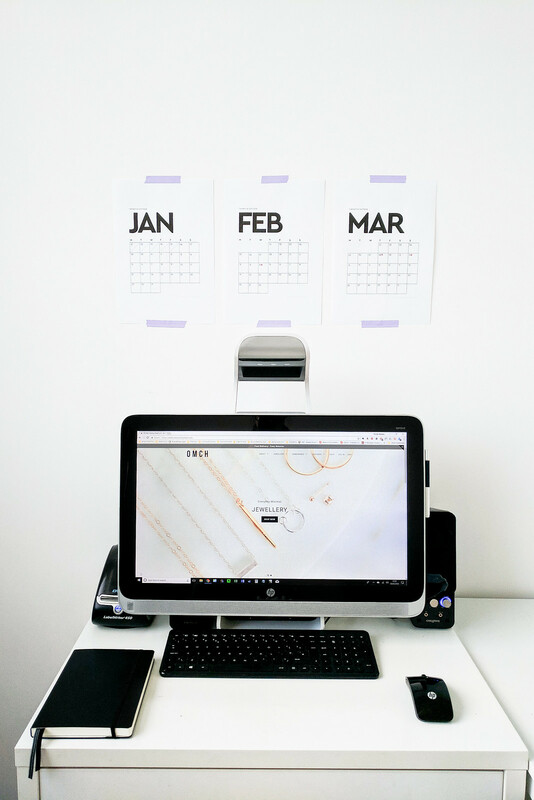 During the shipping restructure, we also managed to slice a little off the cost of each shipping option without affecting delivery times or the perks of tracked delivery. UK Standard Shipping (tracked delivery within 1-2 working days) is now £3.00 with Economy Shipping at £2.50 (tracked delivery within 2-3 working days), and Next Day Delivery is also slightly cheaper too at £7.50. International orders are now £4 with a insured option at £9.50. All the information about our new shipping prices can be found on the delivery page.